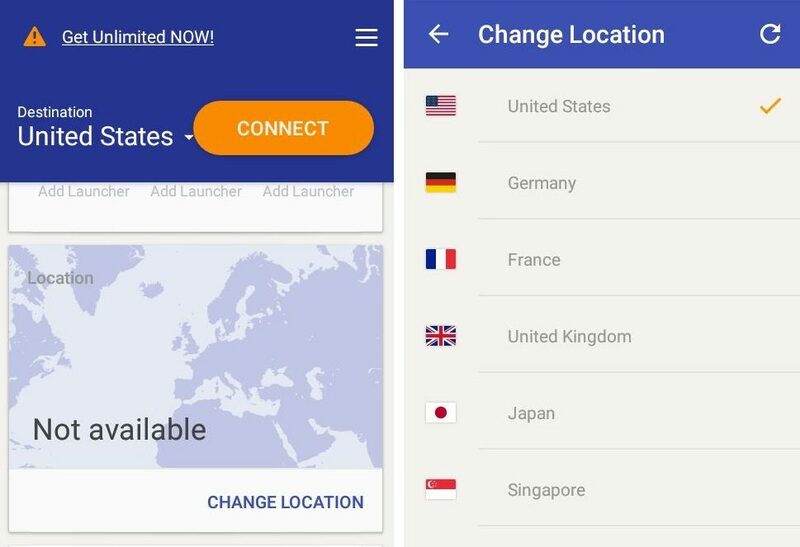 Rocket VPN -The Best VPN App For Android? Usually our internet activities are tracked by ISPs, government or even hackers. One of the best ways to protect our privacy online is by using a VPN app. VPN (virtual private network) is what we strongly recommend to every internet user. Most people use VPN apps to access content which is not available in their country. But VPN apps are also useful in maintaining our privacy online in the world with online security risks. There are many VPN apps available on Google Play Store, but most of them are very complicated to use. So today I am reviewing a simple VPN app by Liquidum. 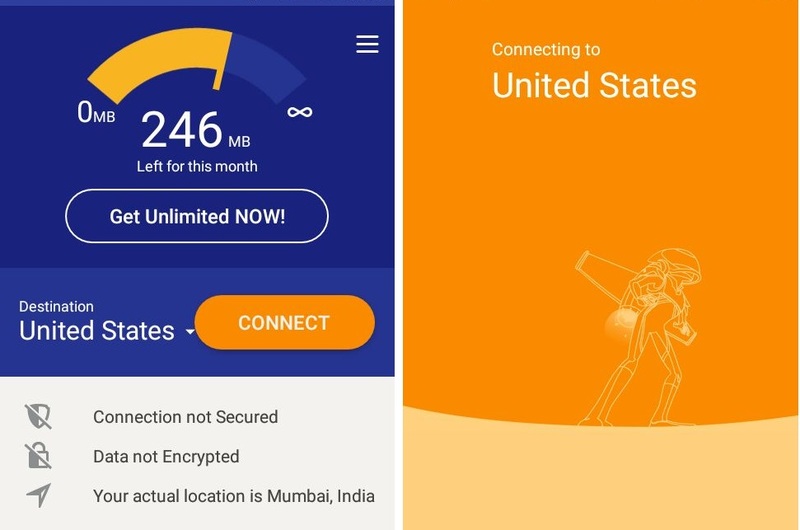 Rocket VPN is a free VPN app which lets us encrypt our mobile data or Wi-Fi to browse anonymously. 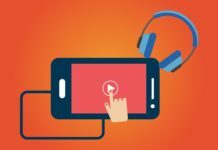 It lets us unblock geographical restricted content, For Ex: You can watch YouTube videos which are not available in your country and you can also access blocked websites. It lets you choose 7 virtual locations which include major countries like United States, UK, Japan, France, Singapore, Germany and Australia. It provides 250 MB of free bandwidth every 30 days. If you are a heavy internet user than 250 MB might get used in a day. So you can check their unlimited plan which costs $2.99/month or $29.99/year. If you are installing Rocket VPN for the first time then you can try the premium plan free for 7 days where you will get unlimited bandwidth. Like most VPN apps, you can access geographically restricted content anywhere in the world. If you scroll down you will find a section called unblock apps. Here you can unblock apps and launch them from any desired location. For instance: You can download apps from play store which are not available in your country. As said earlier Rocket VPN encrypts your data so that your personal information is secured and you can surf the web anonymously. It also makes sure that third party apps are not able to track your location and identity. It also has its own web browser where you can access websites from any desired locations. This may be helpful if you want to switch locations again and again while browsing the web. It works as tor browser. Install the app from Google Play Store. Once installed open it, scroll down at the bottom and tap Change Location. Now you can change your location as per your need. Once you have selected your desired location tap on the connect button. 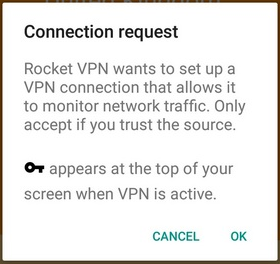 If you are using Android 6.0 marshmallow then Rocket VPN will ask for some permission, select “Allow” to permit the app. 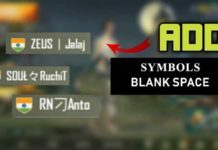 Now it will connect to the available servers of the selected country. Once connected, a key icon will appear in the status bar which indicates that Rocket VPN is activated. You can also monitor its data usage in the notification bar. Rocket VPN is a must have app if you are an avid internet user. It is simple and does what is says. Do let us know your views about Rocket VPN in the comment section.